Ram and Ramayana signify many things to many people. With competitive politics getting hotter in Uttar Pradesh, the name of Ram would be chanted and ranted even more vociferously and for various reasons. Rightly did Goswami Tulsidas say in his Ramcharitmanas: “Jaki rahi bhavna jaise, prabhu moorat dekhi tin taisee.” (“Each one beckons the Lord the way his mind makes him perceive.”) But Ram cannot be limited by this. He transcends all this. Ram is not just a Hindu God, he is a sustaining force, a means to connect with the supreme, and a road to self-realisation. This was what this writer experienced while attending the International Ramayana Conference (IRC) in the South Pacific Island nation, Fiji, during October 14-16. The IRC was organised by the Fiji Sevashram Sangha (FSS) in association with the Indian High Commission to Fiji and the Ministry of Education, Heritage and Art, Government of Fiji, to mark Bharat Sevashram Sangh’s centenary celebrations. The FSS is a well-known organisation in the social, cultural and religious spheres of Fiji. Its relief work during the Cyclone Winston calamity last year was appreciated by the President and Prime Minister of the Republic of Fiji. Organising the IRC on the centenary celebrations was an important step to redefine the relevance of Ramayana in the contemporary sense. This in itself was a great achievement. The role of the Ministry of Education, Heritage and Arts, and the personal interest taken by Fiji’s Minister for Education, Dr Mahendra Reddy, and his team showed their commitment to the cause of preserving and promoting the national heritage of the country and Ramayana’s place in the life of the people of Fiji. The theme of the conference was the ‘Universal Appeal of Ramayana’. Besides scholarly discussions on the epic, the aim of this international event was to provide for the Fijians and other global attendees an opportunity to understand how Ramayana had influenced the life and society of several countries around the world. Needless to say that it did much more than that. 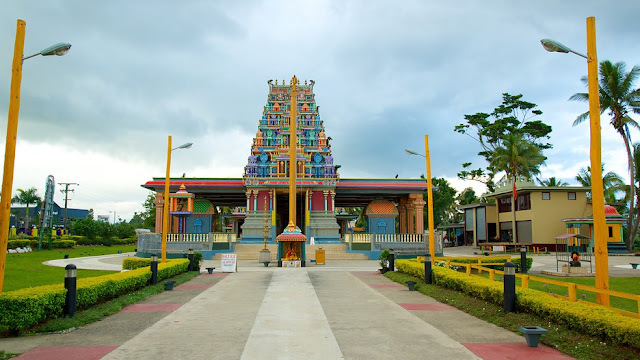 It was quite evident that the one thing that impacted the lives and values of all Hindus in Fiji — and it is a sizeable section of the population — was Tulsidas’s Ramcharitmanas, for more than 100 years. Ramayana, no doubt, has had a huge impact in shaping the lives of Hindus in Fiji. With around 2,000 Ramayana mandalis operating in Fiji, the values of the epic have shaped the character and personality of a substantial proportion of Fiji’s population. The inaugural IRC celebrated the significance of Ramayana in Fiji since the Girmit era, the time when the British had brought Indians to Fiji as slaves. 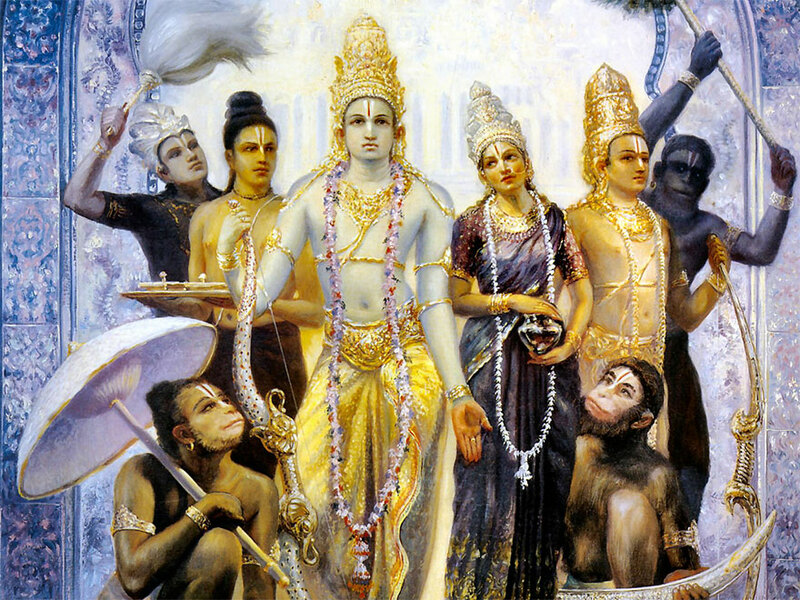 Ramayana epitomises universal values, which are relevant not only to all generations but also to people from all ethnic, social and economic backgrounds. Every aspect of Lord Ram’s life demonstrates universal values in practice — truth, compassion, and love. The conference highlighted these universal values as they are practised in the participating countries. The beauty of Ramayana was showcased in a beautiful and powerful fashion. The IRC, the first to be organised in Fiji, was attended by over 60 international participants — all prominent scholars — from eight countries. The topics covered were quite broad as well, from Ramayana and spirituality, to Ramayana and science, to Ramayana and management. Deliberations on these generated a valuable outcome, which was not just for takeaway by the participants but also formed the basis of the outcome of the conference, which could be used for implementation of strategies by Hindu organisations in Fiji and other countries that participated. Another historic milestone achieved was the translation of Ramayana into iTaukei, the lingo of indigenous Fijians. This would certainly offer insights on Ramayana to the natives who have seen Hindu lives evolve around it for the past 140 years by giving them an opportunity to read a simplified version. The first indentured labourers who came to Fiji in 1879 had also brought Ramayana along with them. Ever since, it has been an important source of religious, social and political authority and identity for Hindus in the country. The IRC aptly celebrated the special place Ramayana has in the lives of the people of Fiji. It brought to the country a range of Ramayana patrons, eminent academics, and religious and community leaders to present cultural and academic life experiences and teachings. With the migration of people of Indian descent, Ramayana has become the most important cultural instrument among Hindus in the Asia-Pacific region and in the diaspora, which also serves as an important link back with India. So, India lives at faraway shores due to Ramayana. For the first time in Fiji, the IRC brought together all Ramayana mandalis and Hindu organisations from all over the country and provided them a forum for collaboration with international academics, researchers, religious and cultural leaders, Ramayana kathakars and Ram Lila presenters from India, and the diaspora to discuss issues relating to Ramayana. This was an opportune time for all local mandalis, religious groups, students and Fijians at large to understand Ramayana as a universal healer, apply its teachings to their lives, and build valuable network with people to continue enhancing their knowledge. Scholars from Australia, New Zealand, Trinidad, Guyana, Mauritius, Malaysia, India, and Fiji delivered considered views on various themes that brought out the richness of the contents of Ramayana. Though the references were made from both Valmiki’s Ramayana and Ramcharitmanas, the latter was more widely talked upon. The reason perhaps was the appeal of Ramcharitmanas among the indentured Indians who were mostly brought as slaves by their British masters from Awadh, Bihar and other Awadhi/Bhojpuri-speaking regions of India. In fact, Fijian Hindi is quite similar to the Awadhi language which Tulsidas had used in his Ramayana. The Girmitians, as the indentured labourers were called, had a practice of reciting the Ramayana. Historian Ahmed Ali, who wrote on the plight of Girmitians in Fiji, mentions this in his account. The labourers, when they were brought to Fiji and other such places like Suriname, Guyana, Mauritius, and Trinidad, had carried a small version of Ramayana popularly called Gutka, and reciting it gave them joy after the day’s hard work. It was the unifying force for them, the cementing bond. Manas did not just play its role in the spiritual development and helped them face the hardships of life, it became the instrument for their social and cultural upliftment, whereby Ramayana mandalis were formed and started holding weekly devotional gatherings. Gatherings of these mandalis became a substitute for the place of worship, although they established big temples later. Gradually, these mandalis evolved into platforms to start educational institutions. In due course, they became the pivot of the social, religious and cultural life of Fiji that has shaped the culture of today. Another attraction of the conference was the Ram Lila performed by the Ayodhya Research Institute, India. Founded in 1986 as an autonomous organisation of the Culture Department of Uttar Pradesh, it was formed to conduct research on Ramkatha and to investigate the historical significance of Ayodhya. 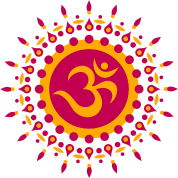 Ram Lilas are a part and parcel of the life of Fijian Hindus. Schools have a tradition of encouraging students to perform Ram Lilas, which helps them understand, appreciate and empathise with Ram, and to imbibe the values of righteous conduct. Ram Lilas are also performed in Trinidad and Suriname in the lila style of the indentured Indians who had come there from North India between 1838 and 1917. The lila style uses lokadharma theatre conventions, which mimic simple amateur folk in the open air, and where the vyas narrates the day’s katha (story) from Ramcharitmanas in a musical style to an audience that primarily comprises devotees. Indian cultural moorings have continuously been transmitted through the oral tradition that is primarily informal and imitative. Today, there are attempts to formally transmit knowledge and skills for better appreciation of both the theory and practice in the Vaishnava tradition of Ram Lila. In Trinidad’s schools, the Sanatan Dharma Maha Sabha performs Ram Lilas using natyadharma theatre conventions on a stage. Baal Ramdilla is Trinidad’s first performance group that combines Vaishnava theory with practice. Children and youth are trained during annual vacation heritage campus. Ram Lila in Fiji was introduced by one Tota Ram Sanadhya in 1902. It was Ramayana and Ram Lila that kept the Hindu spirit alive among the indentured labourers and helped them sustain the onslaught of the Britishers who wanted to kill the culture, and by extension, their nationalism. But with the help of Ramayana, and under great duress, the tradition of Hinduism was kept alive. That is the power of Ram and Ramayana. As the new generation of those indentured labourers grows up — the second, third and fourth ones — they leave past their turbulent history and are proud Hindus. For them, Ram and Ramayana are their life blood, a matter of heart rather than head. Ramayana is not just a religious narration that tells us about the life and times of Lord Ram — the seventh incarnation of Vishnu and central figure of the epic — it is a complete handbook of Applied Social Science offering lessons on psychology, sociology, and even management! Ramcharitmanas occupies the place which probably no literary work can hope to attain anywhere in the world. Surviving the test of five centuries, this unique epic only seems to have grown in terms of respectability. Though some treat it as a scripture or a religious book, most people have very high respect for it. There are millions who read it every day as a part of their daily routine. And maybe there are thousands, even among the illiterate, who remember it by heart; they not only recite it daily, but also keep a check on their conduct by quoting it from time to time. It enjoys a pride of place in Hindi literature. Manas has not only been read by millions, with or without fully understanding its purport, it has also been held in high esteem by learned critics for its poetic style and deep underlying thoughts and messages. Thousands of scholars have studied it for academic purposes and obtained doctorates for their dissertations on some part of it or the other. It has been almost 100 years since the end of the indentured labourers’ sufferings, with the last ship bringing 688 Girmitiyas from India to Fiji in November 1916. But the new generation of FOIDs (Fijians of Indian Origin) looks for meaning in the same source of sustenance that their forefathers did — Ramayana. Even British orientalists of the colonial period, of which many served in India as administrators or missionaries, found that Ramcharitmanas embodied what seemed to them the noblest aspects of Hindu culture. Eminent Britishers, such as Sir George Grierson, had praised the role of the Manas in Hindustan by noting that “it has saved the country from the tantric obscenities of Shaivism… the fate which has befallen Bengal”. Grierson hailed Tulsidas as “the greatest of Indian authors of those times” and called his epic “worthy of the greatest poet of any age”. S Growse, who served as district magistrate of Mathura, urged the epic’s adoption by the colonial Education Department, noting that “the purity of its moral sentiments and the absolute avoidance of the slightest approach to any pruriency of idea... render it a singularly unexceptionable textbook for native boys”. Vincent Smith, author of a biography of Tulsi’s contemporary, Akbar the Great, hailed the epic’s creator as “the greatest man of his age in India, greater even than Akbar himself”. Ramayana is not just a religious text; it is the elixir of life for many. It was not without reason that David Cameron, former British Prime Minister, said while addressing the Indian community at a Diwali get together at his place in 2012 that Ramayana offers great lessons on good governance. Ramayana is a literary achievement, no doubt, but more than that it is a fountain of heartfelt faith. A stern tale of dharma, it holds out grand lessons for life and society — in India and beyond.